The Contractor Support Network needed a platform to sell their services online on both a subscription and one-off basis. Part of their service is a directory for their users, this meant every user need their own public profile but also be able to view the other profiles across the directory based on permission sets. They also wanted help to really accelerate their web presence using social media and PPC, as well as weekly mail shots to their subscribers with contractor news. We built the website on WordPress using the WooCommerce plugin to integrate the eCommerce functionality they required. Users can easily setup subscription payments through the website and manage their orders. The directory was then built and rigorously tested to ensure it could stand up against brute force and DOS attacks. The social media channels were given a total overhaul, with Salepath Digital concentrating their efforts on LinkedIn and Twitter, which made an enormous difference to user engagement and clicks through to the website. Weekly mail shots were designed, set up and sent out, giving The Contractor Support Network an opportunity each week to give contractors the very latest contractor news, as well as showcasing new services. The results indicate that a combination of all the above has had a startling impact on sales growth. Salepath Digital put our idea into a brilliant working website. We knew what we wanted but it was quite hard to articulate, but they came up with several ideas around a theme and in a short time we had the beginnings of a fully functioning e commerce website. From start to finish it only took a few weeks work and we were really impressed by the dedication this guys have and their desire to make the client really happy. 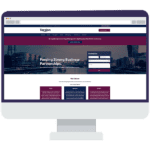 After 2 years with the initial website we introduced some changes to our services and they suggested a new look might be an idea – it was more of a tweak than a total change but we love it! We have a busy subscription service with people signing up all the time, and large member only customer directory on the site so it needs to be very robust and secure. The integration with the payment processing area works seamlessly and if we ever have an issue , the team are always willing to help, whatever time it is. You don’t get that much these days and we are very grateful for what they do for us. They also design and send mail shots out for us each week and customer feedback on this is always positive.